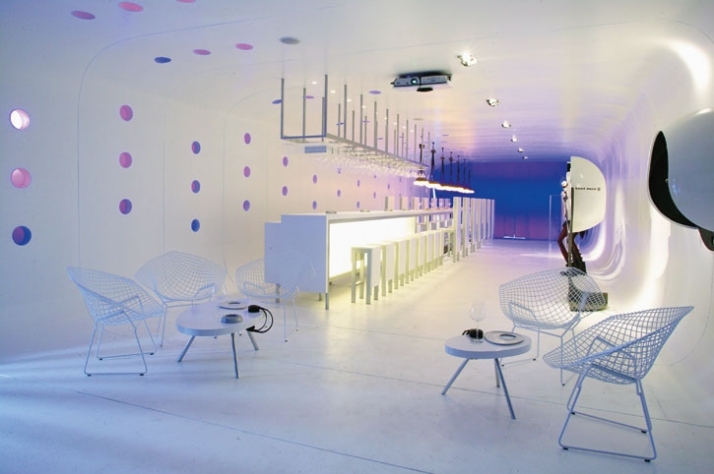 Which is your favorite Restaurant or Bar design-wise? ¨The winners will be announced in Yatzer’s TWITTER account on November 2 , 2009. For this reason, all the candidates have to fill out the comments form by specifying your favorite bar or restaurant for its exquisite design and then just simply follow us on TWITTER. The deadline for your submission is November 1, 2009. 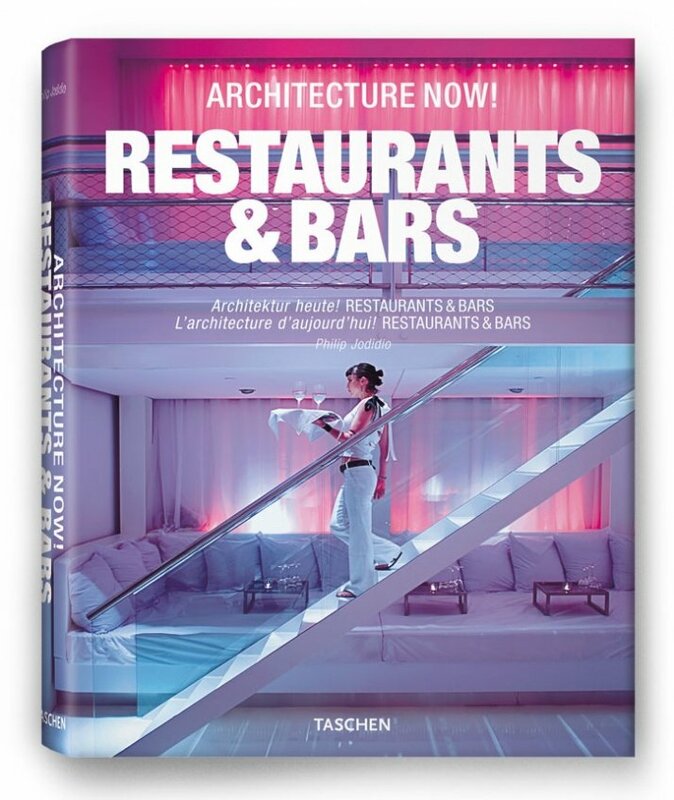 The latest architecture and design of restaurants and bars, from L.A. to Tokyo, is the focus of this book. 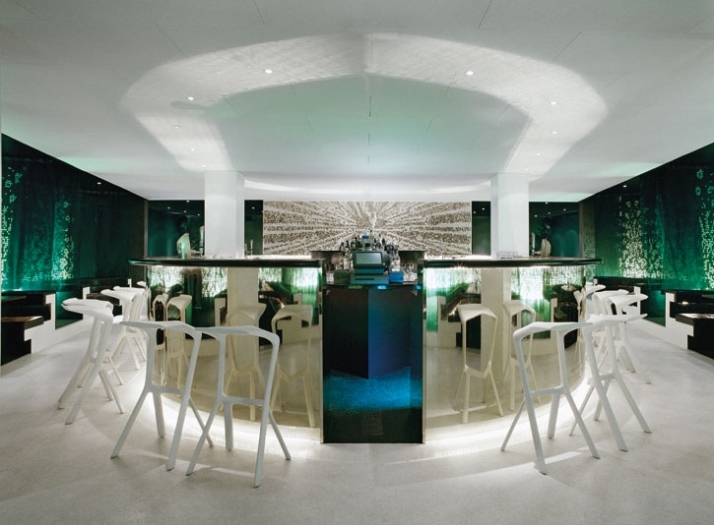 Whether the challenge is merely placing furniture in a simple space, or an ambitious structural project, restaurants and bars are the sites of our most expressive architecture; more ephemeral than larger facilities or entire buildings, they are more apt to capture the mood of the times. From a skyscraper rooftop in Bangkok to a beachfront in Brazil, here are places where design, architecture, food and drink come together in inspiring combinations ranging from minimalist to extravagantly baroque. Designed and conceived like the enormously successful Architecture Now! books, this volume identifies the current trends bringing architecture and design together in new and exciting ways. 3deluxe-biorhythm, Architectuurbureau Sluijmers en Van Leeuwen, Architrave, Assadi + Pulido, AvroKO, Barkow Leibinger Architekten, Bel Lobo & Bob Neri Arquitetos, Christian Biecher, Buchner BruΜÂˆndler Architekten, Arthur Casa, CL3, Concrete, Electric Dreams, Elenberg Fraser, Stuart Forbes, Doriana and Massimiliano Fuksas, GCA Arquitectes, Gilles & Boissier, Stephanie Goto, Graft, Guedes + DeCampos, Zaha Hadid, Jeppe Hein, Hosoya Schaefer, Jakob+MacFarlane, Johnsen Schmaling Architects, SFJones Architects, Jouin Manku, Marcio Kogan, Kengo Kuma, Christian Liaigre, MAKE Architecture, Maurice Mentjens, Metro Arquitetura, Simone Micheli, Moon Design, Office dA, Katrin Olina, OlssonLyckefors Arkitekter, Pacific Environments, Pentagram, Pierluigi Piu, Studio Arne Quinze, Imaad Rahmouni, Karim Rashid, Thilo Reich/Tran Mai Huy-Thong, ROBERTNEUN, Serie, Philippe Starck, Super Potato, Tidy Arquitectos, Marcel Wanders, Isay Weinfeld, Wonderwall/Masamichi Katayama, Yabu Pushelberg, Cate Young. Title: OLSSONLYCKEFORS ARKITEKTER, Peacock Dinner Club, Göteborg, Sweden. An excellent book written by the internationally renowned and one of the most popular writers on the subject of architecture // Philip Jodidio, a Harvard graduate who studied art history and economics, and has edited Connaissance des Arts for over 20 years. His books include TASCHEN's Architecture Now! series, Building a New Millennium, and monographs on Tadao Ando, Norman Foster, Richard Meier, Jean Nouvel, and Zaha Hadid. The THREE lucky winners of "Architecture Now! Restaurants & Bars"